This bestselling product from Clarins is an award winner for a reason. It doesn’t stop at simply moisturising your mitts; it also strengthens nails, minimises age spots, eases irritation, prevents damp palms, and softens chapped skin. A tiny bit of the shea butter-based formulation goes the longest way, and the subtly spicy rose scent is unusual but lovely. The unique texture of this gel cream feels incredible on overworked hands, working to hydrate and protect whilst also cooling them down significantly. The key ingredients of verbena and tapioca extract energise fatigued skin, and the soft powder matte finish ensures that swollen palms are soothed. The citrusy aroma is great for both men and women. As part of a larger family of bath and body products, the glorious Angel scent has been reworked into a sumptuous hand cream. It’s an ideal way to get a hit of the Caramel, Honey, Tonka and Chocolate scent at any time of day, as the heat of your hands provides an ideal diffuser for the addictive fragrance. This vitamin-packed cream is excellent for the thicker skin of a man’s palms, however this super strength hand cream isn’t just for guys – girls can use it on dry and cracked elbows and knees to great effect. Antiseptic eucalyptus provides the bulk of the refreshing scent, while added rice bran oil and glycerine work to soften, moisturise, and lubricate dry skin. This super luxurious cream is a new addition to the wildly popular Island Living collaboration between Crabtree & Evelyn and Royal socialite India Hicks. Made up of a nourishing shea butter base, the cream is plied with a generous helping of macadamia nut oil, soothing aloe, and nail strengthening myrrh. The best bit? The dreamy, exotic floral fragrance! A new favourite. 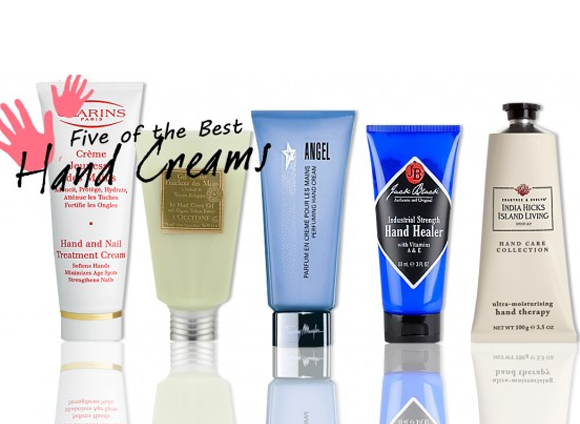 I think, next to L'Occitane, this is one of the best hand creams the money can buy. The skin absorbs it very fast, does not feel greasy and smells quite nice (though dare I say, 'different') and best of all, really heals rough skin. Even my girlfriend uses it when she feels her hands (or feet) feel rough and she admits it's good. This entry was posted on Tuesday, September 6th, 2011 at 10:12 am and is filed under Skincare, Spotlight On. You can follow any responses to this entry through the RSS 2.0 feed. You can skip to the end and leave a response. Pinging is currently not allowed.